Guys Slimline Bible NLT by Tyndale is awesome! I love that it features the easy to understand New Living Translation text. It also contains a 53-page dictionary/concordance to help kids locate passages on various topics and includes 8 pages of full-color maps, a blue ribbon marker, and a special presentation page. 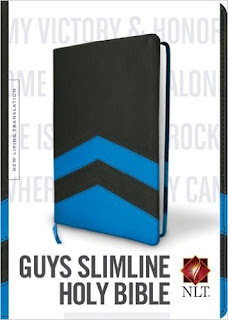 Guys Slimline Bible NLT by Tyndale is perfect for young boys and would make a terrific gift for any occasion! 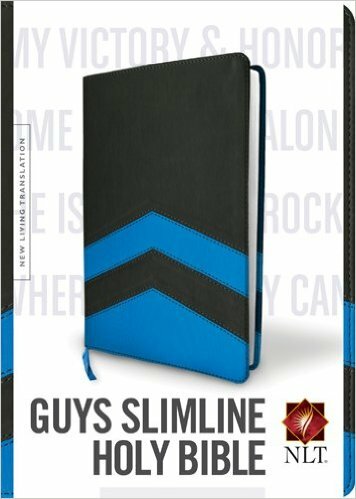 You can find Guys Slimline Bible NLT by Tyndale on Amazon, Barnes and Noble and other bookstores.